Be it a service or an industry, consumers have more choices today than ever before. They demand good experience and will go elsewhere if they don’t receive one. According to Frost and Sullivan, within two years, customer experience will surpass both price and product as the top differentiator between brands. How do organizations differentiate themselves from the competition to earn the lifelong trust of a loyal customer base? The key is in viewing the customer experience with a wide-angle lens. The experience isn’t over after a customer decides to purchase. It’s just the beginning. The supply chain is becoming increasingly important in creating an elevated experience for customers. Two-thirds of respondents in a recent survey agreed that delivering a great experience for customers is a driving factor in their supply chain strategy. Here are a few practical tips for using the supply chain as a launchpad for better customer experience. The key to understanding breakdowns in the supply chain is better visibility between systems and teams. For example, if a customer places a large order and the salesperson or platform with which that order is placed is not in communication with the logistics team, the order is at risk of being late or going unfulfilled. It creates a breakdown in the customer experience, not to mention the risk of costly error and lost revenue. Through integrated supply chain management strategies, every team that touches the customer has a view of the experience from start to finish. This allows not only a satisfactory experience for the customer but also a mechanism to identify creative ways to delight customers. Understanding buyer behaviors is crucial for attracting prospects, earning consumer trust and creating lifelong customers. Knowing customer preferences and behaviors doesn’t end at the point of sale. 58% of consumers expect a more personalized experience and are more loyal to the brands that offer one. How do companies design a differentiated experience? They solicit customer feedback at all points during the marketing, sales and logistics experience, and use information from all points to connect patterns and trends. Organizations should use feedback to create targeted buyer personas that include supply chain logistics, rather than viewing it as a standalone piece of the customer journey. Finally, companies can’t become complacent with the customer experience and assume that it’s “good enough”. Consumer expectations continually change, and so should buyer personas, feedback solicitation, and processes. On average, 58% of supply chain teams use analytics to enhance operations and deliver a more seamless, personalized customer experience. Why? Speculation without data leads to costly errors and course corrections, as well as a poor brand perception. Whether using AI to anticipate customer needs based on past behaviors or predictive analytics to automate order fulfillment and delivery, analytics is a vital part of customer experience strategy. Without it, organizations will be left scratching their heads, trying to figure out what went wrong with their customer relationships, instead of creating an experience that sets them apart from the competition. As supply chain organizations seek to solidify their position in the overall customer experience strategy, they must remember that customers no longer buy a simple product or service. Instead, they buy an investment in a brand. There is no faster way to soar a customer relationship than by neglecting the post-sale experience. 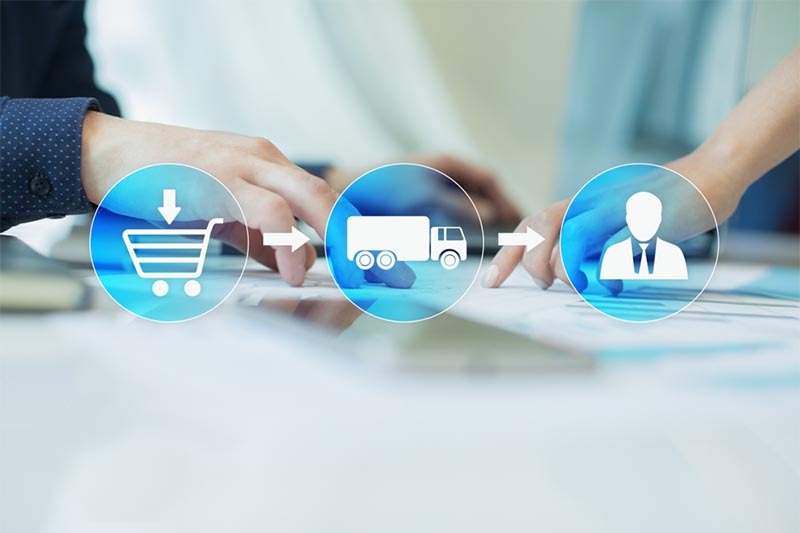 Look for ways to provide the unexpected to customers, whether it is an express delivery, automated re-order reminders or proactive delivery updates. Supply chain officers should feel empowered to take ownership and claim their crucial role in the customer journey.